Although our favorite top cryptocurrencies are glowing green, there is still some eerie uneasiness in the cryptocurrency markets with respect to the next course of direction after the event people have described as a Bloody Sunday. The reason to declare the recent Cryptocurrency flash crash a bloody Sunday are two. The first being obvious: that it happened on a Sunday. The second reason is that the Crypto-markets were affected by 2 events on the same day that many traders assumed were the causes of the flash crash. The first one was the confirmed hack of the South Korean exchange known as Coinrail which was the victim of $40 Million cyber heist. The heist caused panic in the crypto markets. What then happened is a drop of $20 Billion in total market capitaliztion. Then more news came in the form of an investigation of 4 exchanges by US Regulatory Authorities. 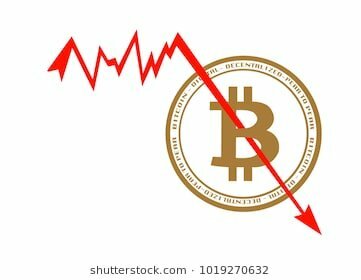 This was another blow that plunged the crypto markets to a recent low in total market capitalization of $291 Billion. However, one Analyst seems to differ with the above accepted reasons of the current market decline. Mati Greenspan, a Senior Analyst at eToro, claims that what happened was simply a Technical Correction. There is absolutely no reason why this smash and grab job at a local boutique [Coinrail] should have sent bitcoin down by $1,000. In the report, Greenspan noted that the biggest decline happened 15 hours after the hack. The scale of the new wave of decline was disproportionate to both the size of the hack and Coinrail’s significance in the cryptocurrency ecosystem. He argued it was a technical correction and added the following. Though the CoinRail hack may have set us off-track, I don’t think that this will have very significant ramifications in the long run. The industry has certainly seen much bigger hacks before and other than a technical price level, this doesn’t change much for the path of the industry over the next five years. Greenspan was quick to propose that the price of Bitcoin will certainly be higher in the future as institutional investors start taking an interest in the industry. Similar sentiments were shared by Fundstrat CEO, Thomas Lee, when he was interviewed by CNBC. The regulatory uncertainty mentioned by Mr. Lee might not be around for too long as news reaching Ethereum World News, indicate that South Korean officials have issued the first guidelines of treating cryptocurrency exchanges as Commercial banks. What then can be concluded from both Mr. Greenspan and Mr. Lee’s comments and observations, is that there is no need to panic as the crypto-markets have seen worse days. A market recovery is imminent with time.